Will we be seeing more of this in China? Apple has announced a long-expected distribution deal with China Mobile, the world's biggest phone carrier. The deal could generate billions in revenue for the iPhone manufacturer. The announcement confirms a Wall Street Journal report earlier this month that stated the deal was in place and ready to go. Demand for iPhones has slumped in China recently due to the release of lower-priced smartphones from Samsung and Chinese companies. Apple's move will be looking to redress that balance, though the financial terms of the deal are unknown. Apple's phones will go on sale in China Mobile's retail stores on January 17 for the first time. Customers will be able to pre-register from December 25, however. China mobile's phones will also be available in Apple stores across China as part of the multi-year deal. Chief executive of Apple, Tim Cook, said: "China is an extremely important market for Apple and our partnership with China Mobile presents us the opportunity to bring iPhone to the customers of the world's largest network." The deal with China Mobile had been rumoured for some months, with the release of the iPhone 5C in September seen as a cheaper handset aimed at the Chinese markets. Apple has just five per cent of China's smartphone market and lag s behind competitor Samsung, which has been present in China since 1987. The California-based company will obviously be hoping that China Mobile, the largest carrier in the world with 760 million customers, will be able to facilitate a growth in sales. Deals between the two had delayed previously, notably when China Mobile adopted a home-grown version of 3G that the iPhone manufacturer was reluctant to support. 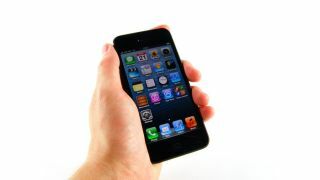 At the start of December, however, China Mobile was awarded a 4G licence that will be compatible with Apple's iPhones.